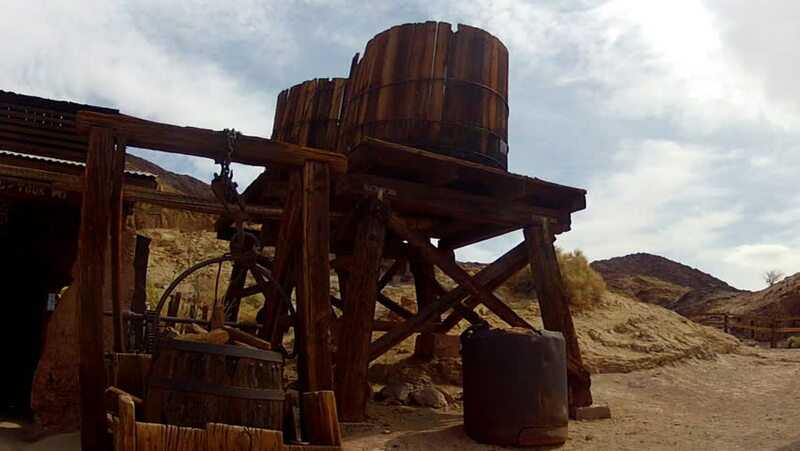 CALICO GHOST TOWN, CALIFORNIA/USA: June 23, 2015- Wooden Water Towers from the days of the old west at Calico Ghost Town Regional Park a popular roadside attraction near Barstow, CA. hd00:08Early Spring in the Alps. Chalets near Saint-Martin village, Valais , Switzerland. hd00:15Western Kazakhstan. Aral Sea. Cemetery ships.